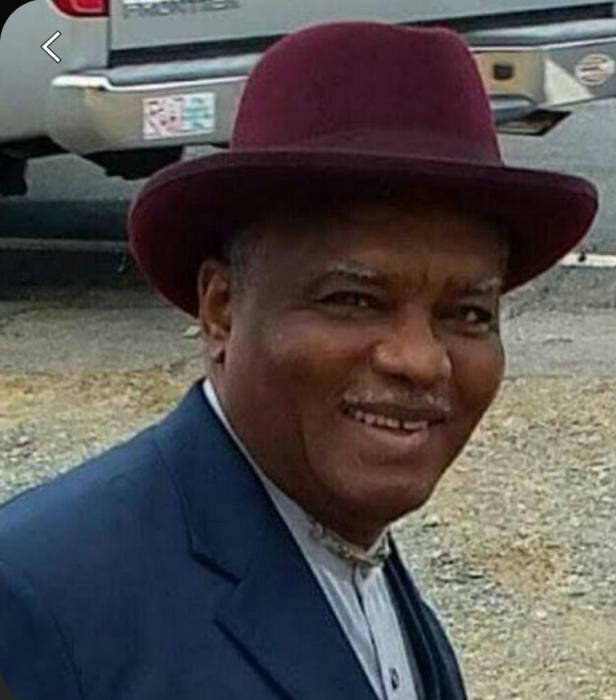 Bishop Roy Lee Jackson age 76, of 4204 Raccoon Path, Fayetteville, NC departed this life on Tuesday, April 9, 2019. Funeral services will be held on Wednesday, April 17th at 10:00 AM in the Kingdom Impact Global Ministries. Burial: Sandhills State Veterans Cemetery. He leaves to cherish his loving memories: mother; Plumie Wilson Jackson; sons, Matthew Wells, Roy Jackson, Jr. (Aniesha), Gabriel Jackson, Cory Jackson, Joshua Jackson; daughters, Gloria ShaDell Wells, Jameshia Jackson; brothers, Dave Jackson, Jr.; Robert James Jackson (Shirley) and Jerome Jackson. ; sisters, Fannie Ross, Mary Haugabrook (John), Annie Franklin (Hosea) and Anna R. Jackson, twelve grandchildren and a host of other relatives and friends. There will be a viewing Tuesday, April 16th from 2:00 PM to 7:00 PM at the funeral home.